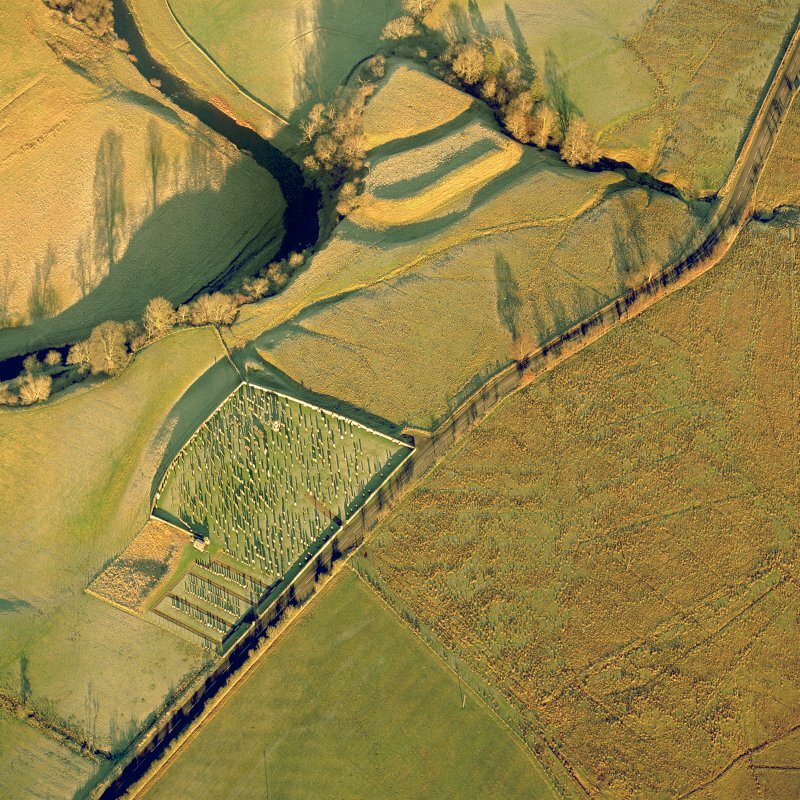 Oblique aerial view of Liddel Castle centred on the remains of an earthwork fortification with a burial ground and remains of a church adjacent, from WSW. 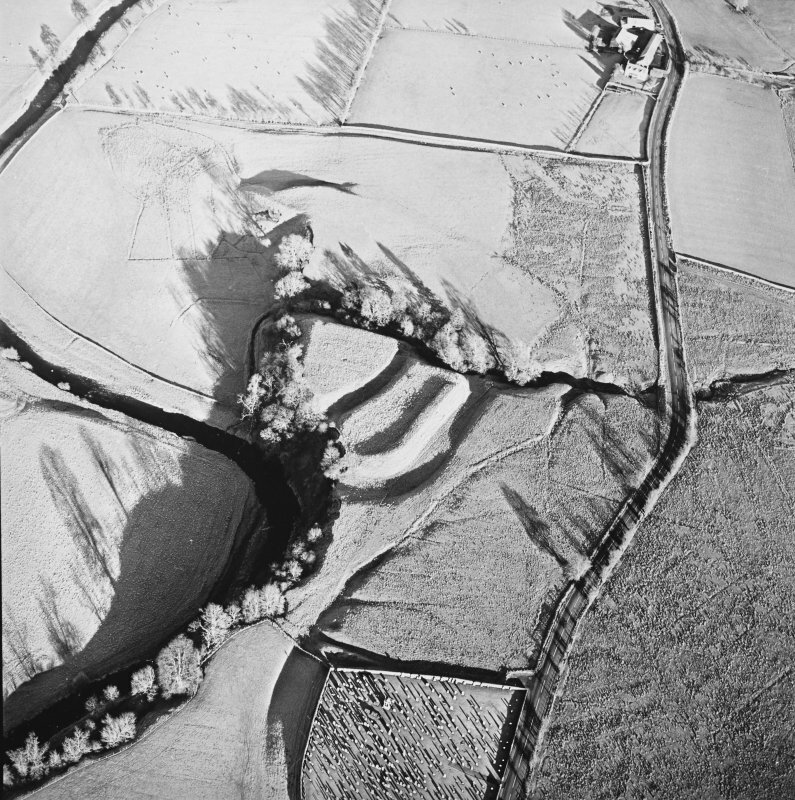 Oblique aerial view of Liddel Castle centred on the remains of an earthwork fortification with a burial ground and remains of a church adjacent, from WNW. 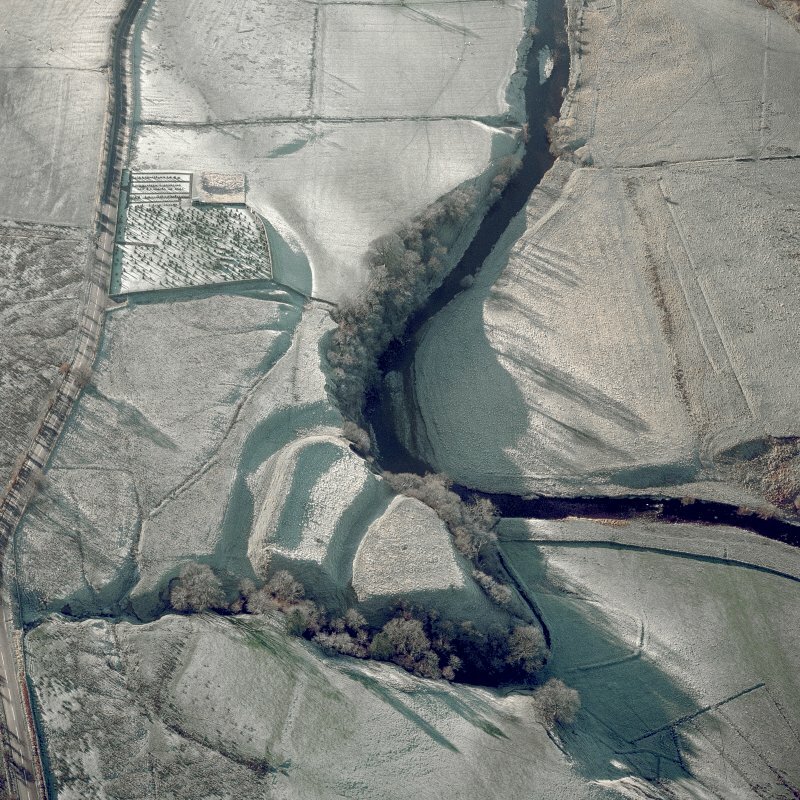 Oblique aerial view of Liddel Castle centred on the remains of an earthwork fortification, taken from the SSW. 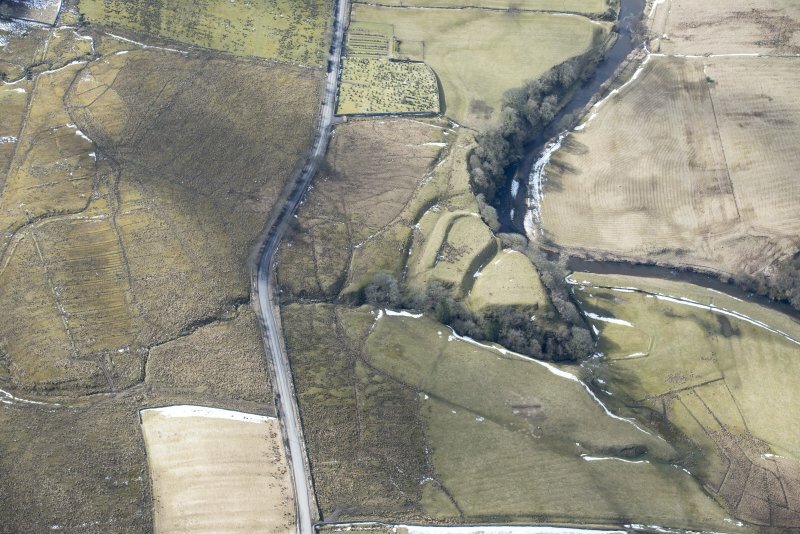 Oblique aerial view of Liddel Castle centred on the remains of an earthwork fortification and burial-ground, from E.
Oblique aerial view of Castleton centred on a burial ground and remains of a church with the remains of an earthwork fortification adjacent, from SSW. 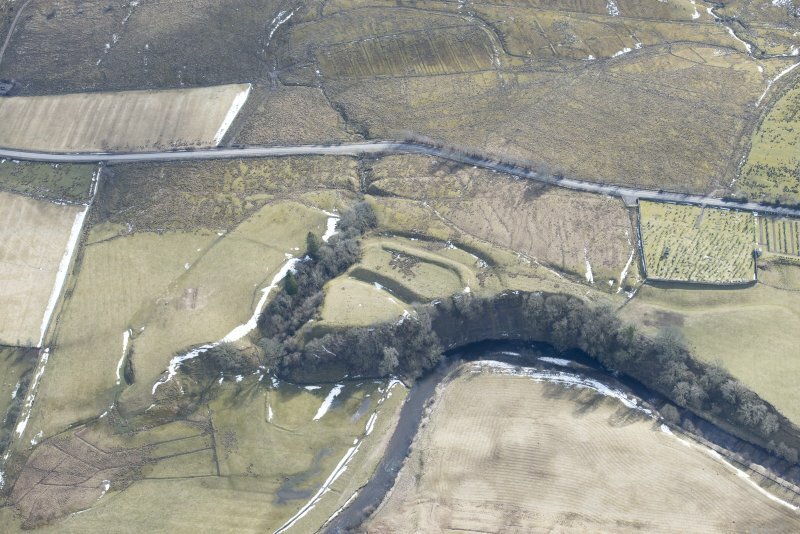 Oblique aerial view of Liddel Castle centred on the remains of an earthwork fortification, taken from the SSE. 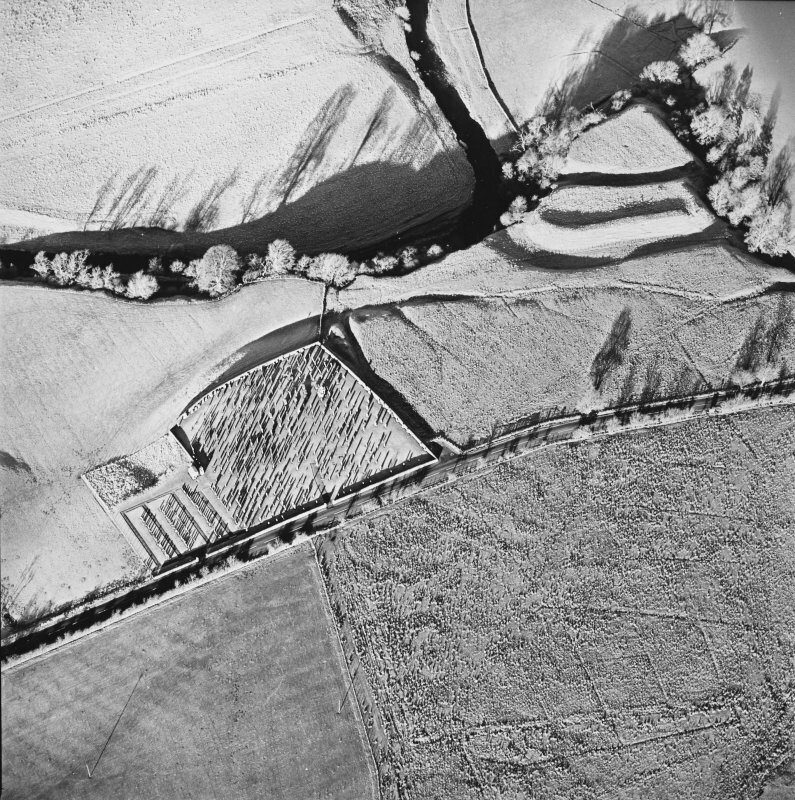 Oblique aerial view of Liddel Castle centred on the remains of an earthwork fortification with a burial ground and remains of a church adjacent, from NE. 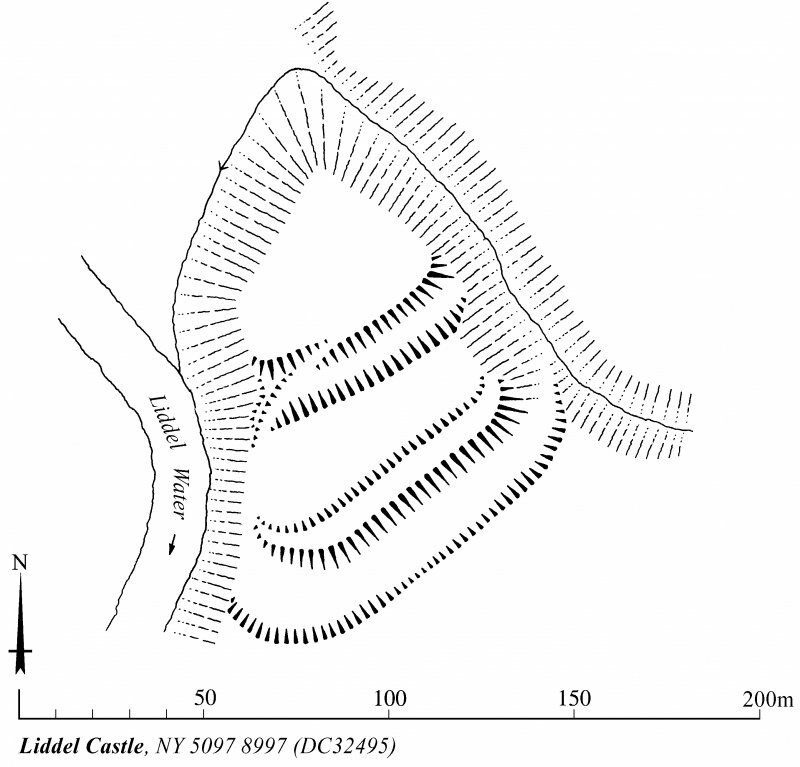 Oblique aerial view of Castleton centred on a burial ground and remains of a church with the remains of an earthwork fortification adjacent, from E.
Plan of Liddle Castle earthworks, redrawn from Inventory illustration  for publication with comparative plans of mottes and medieval earthwork monuments. KHJM, . 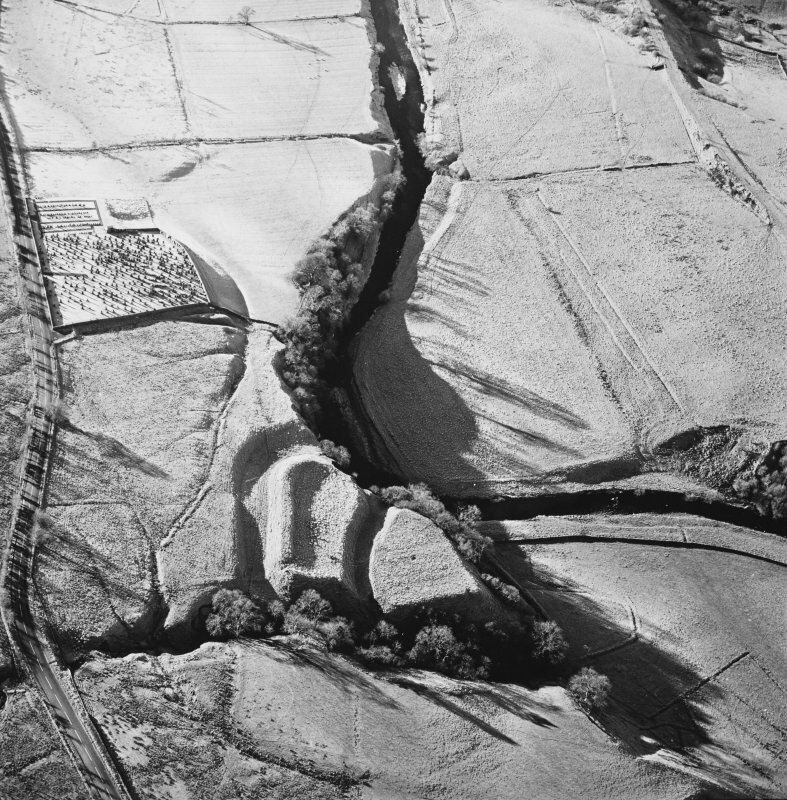 Oblique aerial view of Castleton centred on a burial-ground and remains of an earthwork fortification, from SW.
Oblique aerial view of Castleton centred on a burial ground and remains of a church with the remains of an earthwork fortification adjacent, from S.
Oblique aerial view of Liddel Castle centred on the remains of an earthwork fortification with a burial ground and remains of a church adjacent, from ENE. 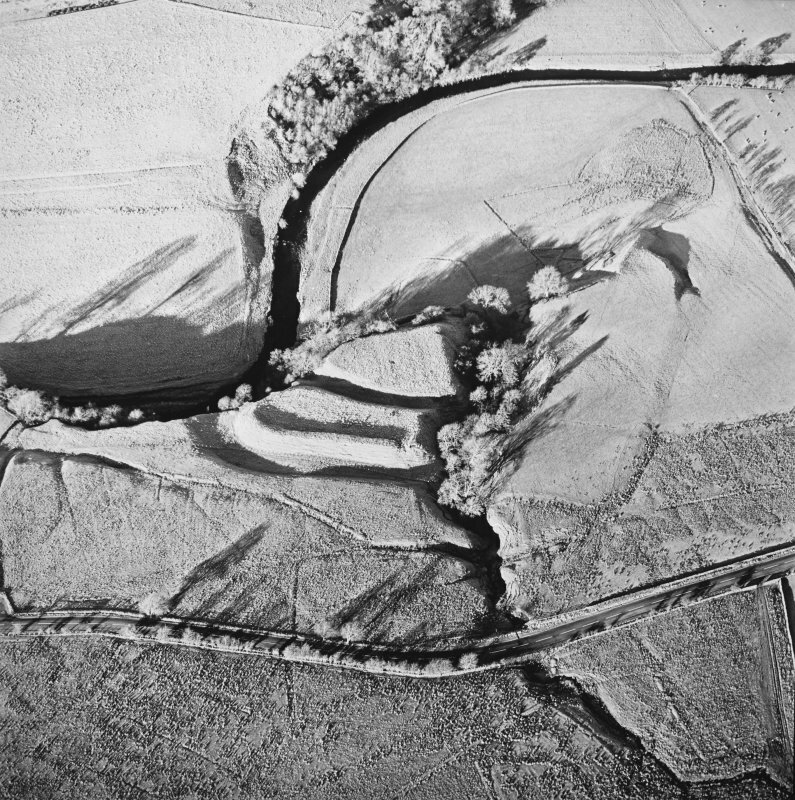 Oblique aerial view of Castleton centred on a burial-ground and remains of an earthwork fortification, taken from the SW. Digital image of D/24606/CN. 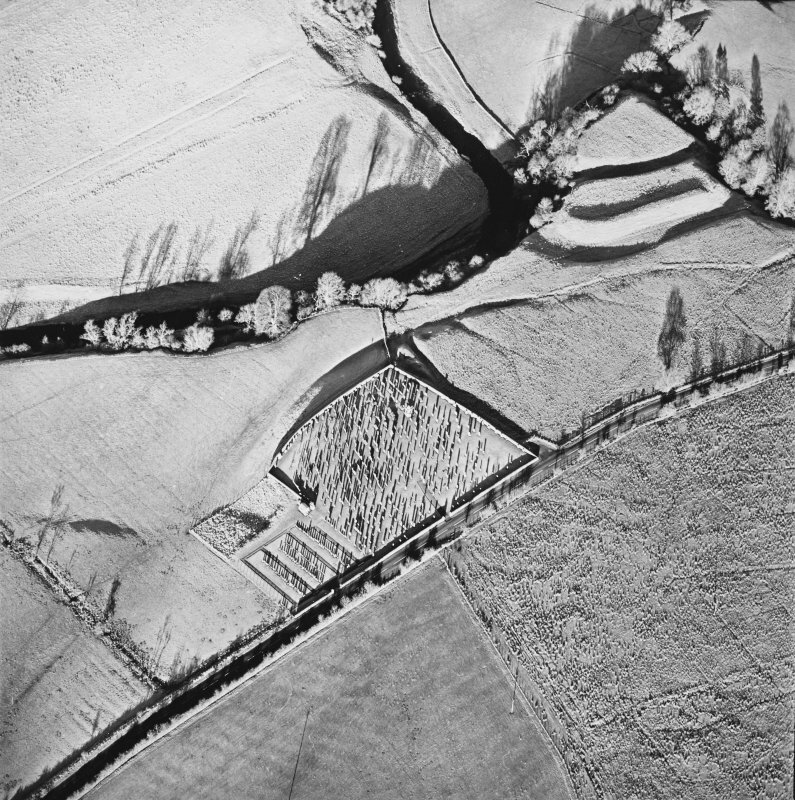 Oblique aerial view of Liddel Castle centred on the remains of an earthwork fortification, taken from the ESE. 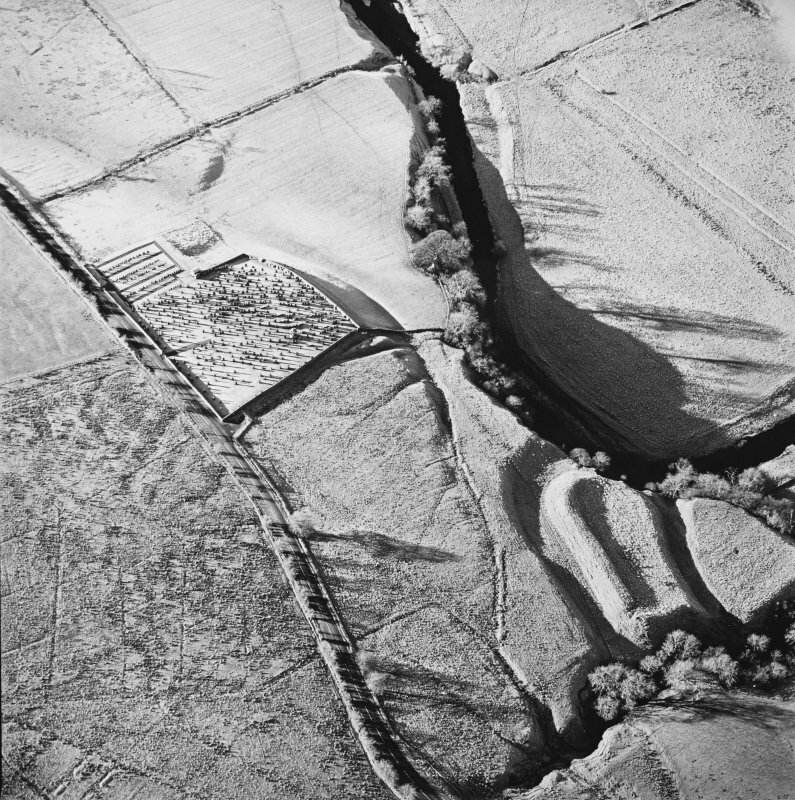 Oblique aerial view of Liddel Castle centred on the remains of an earthwork fortification and burial-ground, taken from the NE. 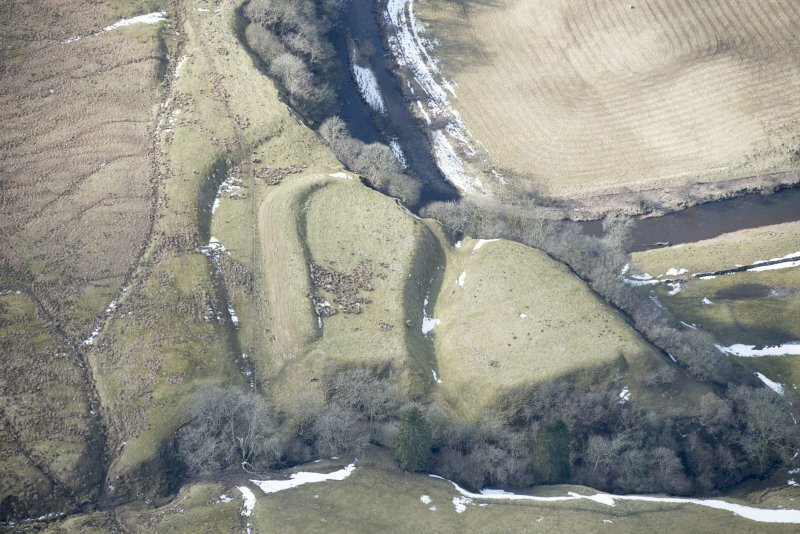 Oblique aerial view of Liddel Castle centred on the remains of an earthwork fortification and burial-ground, from NE. 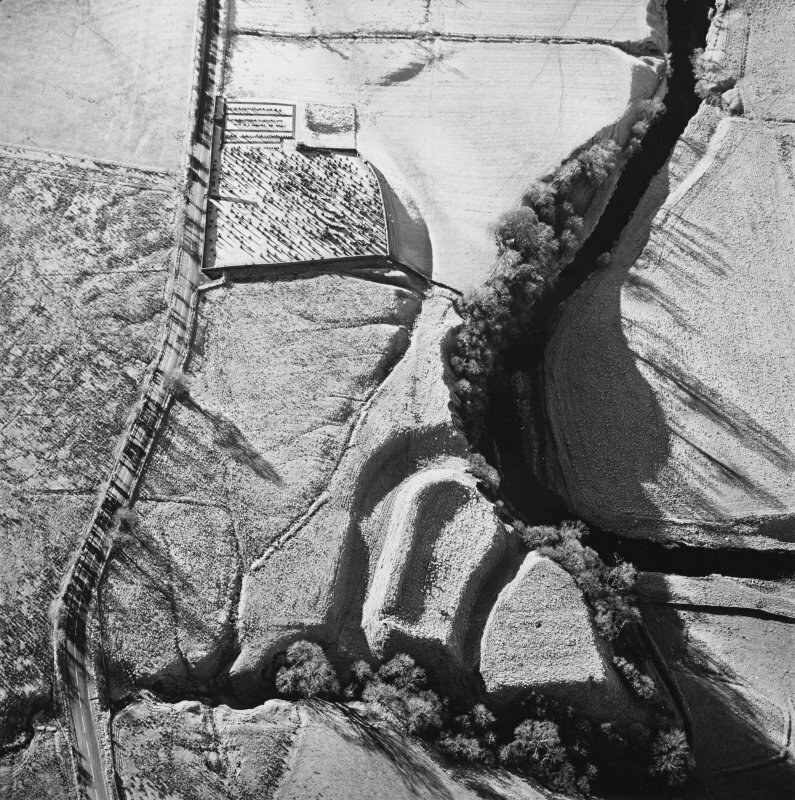 Oblique aerial view of Liddel Castle centred on the remains of an earthwork fortification with a burial ground and remains of a church adjacent, from NW. 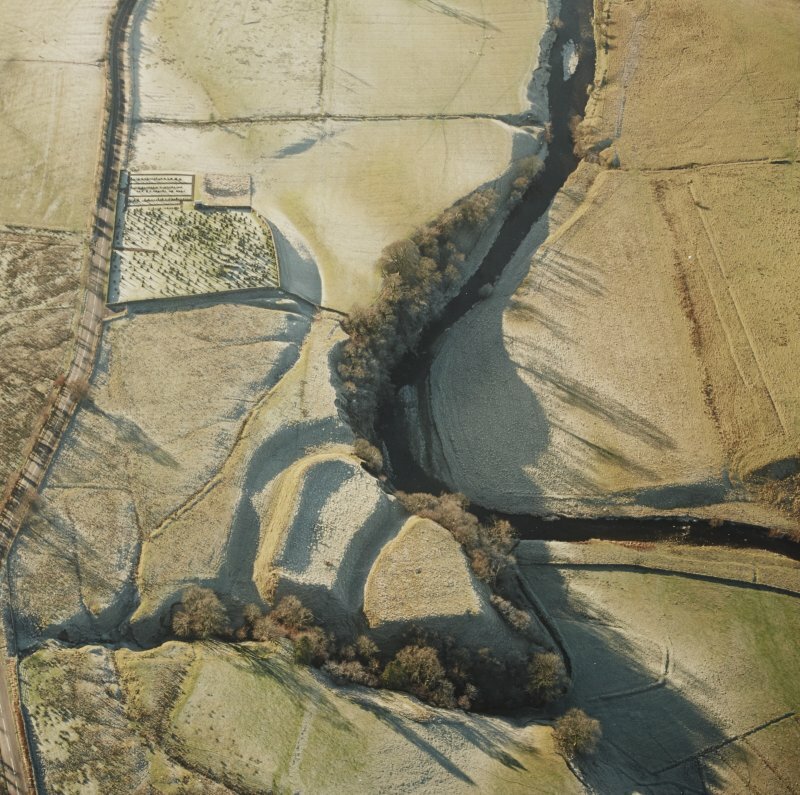 A map in the British Museum, dated 1590, marks 'Castleton' with a tower symbol. 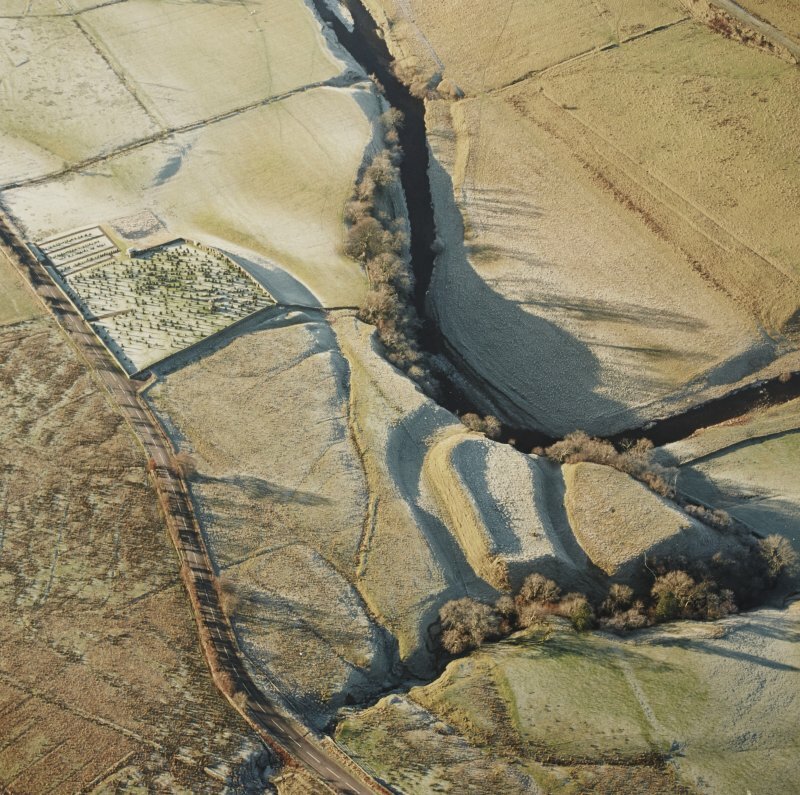 Only the impressive earthworks remains of Liddel Castle, occupying the summit of a bluff, projecting N and bounded on three sides by the Liddle Water and Kirk Cleuch Burn, a tributary. 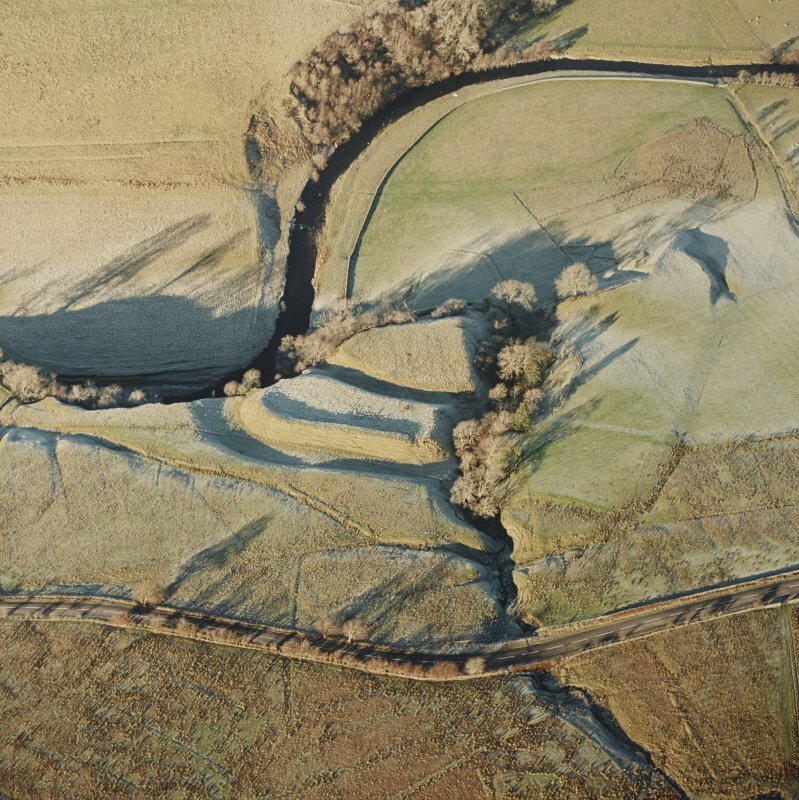 Two parallel ditches have been dug across the headland from flank to flank, leaving two isolated areas, the S one of which has a broad rampart still rising about 6 ft above the interior. 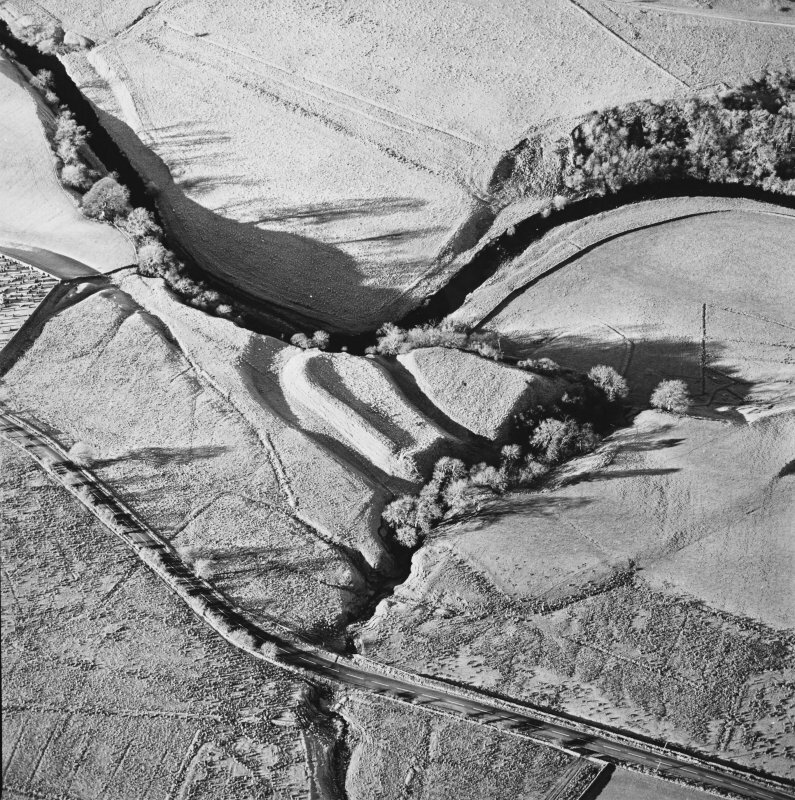 The S ditches broad and flat-bottomed, while the N one is narrower. 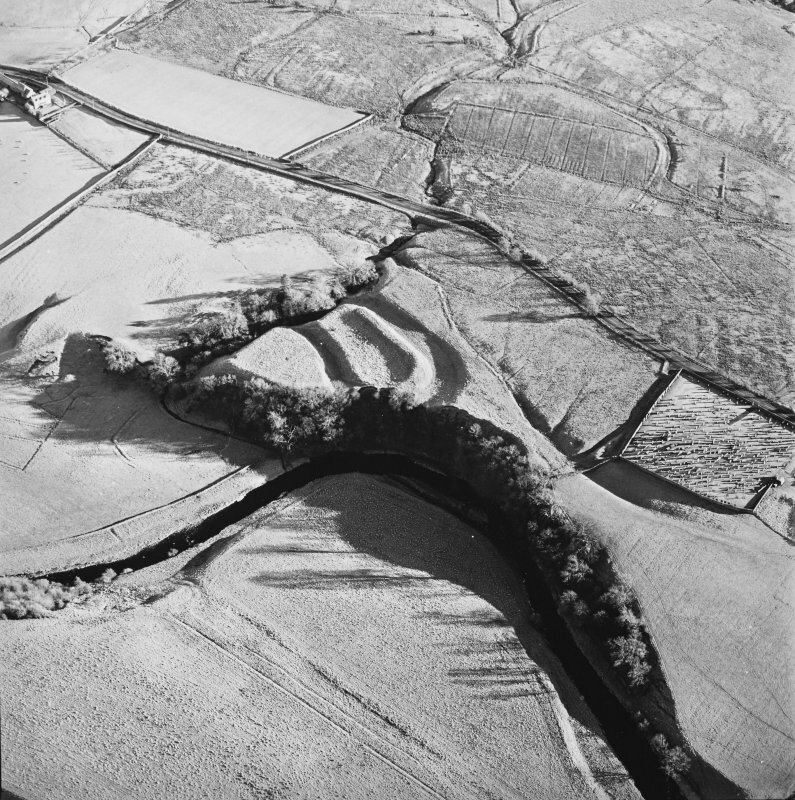 There are now no signs of structures, but in the N section is an oval in which appear a few fairly big stones, and it is reported locally that lower down there is a circular building, evidently a well (published as such on OS 6" 1916 at NY 5097 8999). 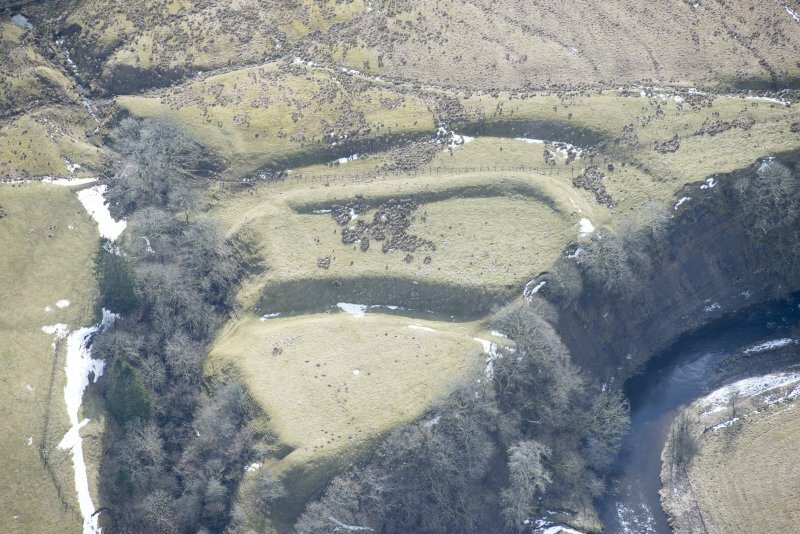 Liddel Castle was presumably built by Ranulph de Soules as the caput of the barony granted him by David I (1124-53), whom he accompanied to Scotland. 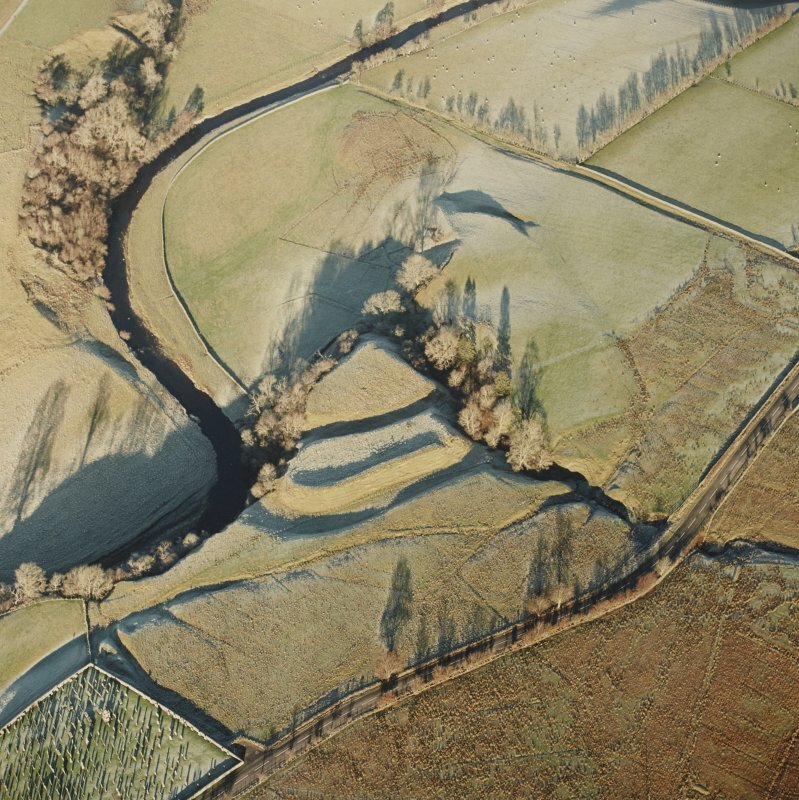 There appear to be no records of it after the early 14th century. 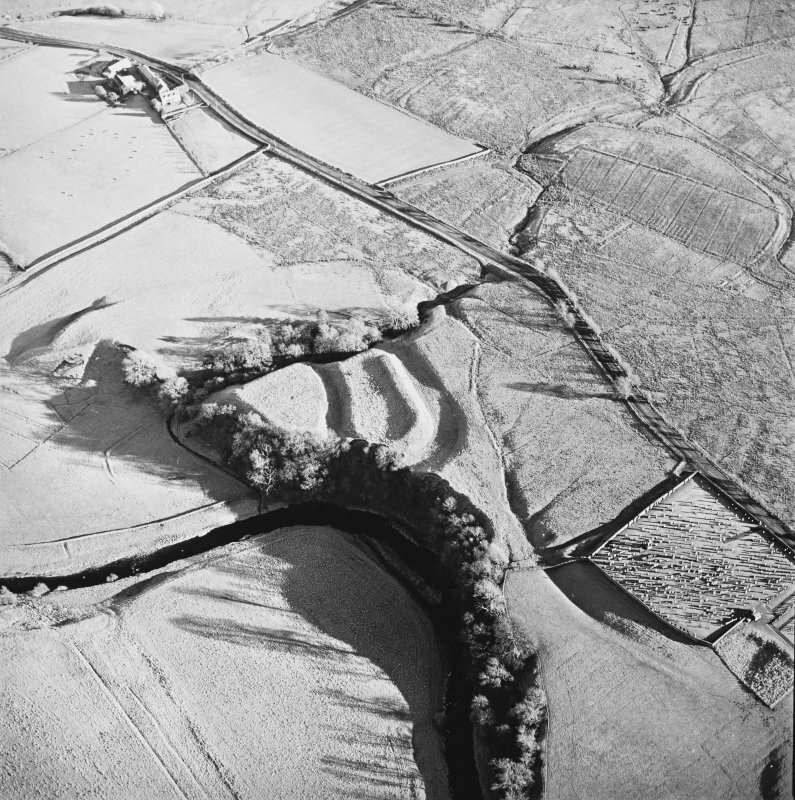 The castle earthworks, constructed to a motte and bailey plan, are generally as described and planned by the RCAHMS. 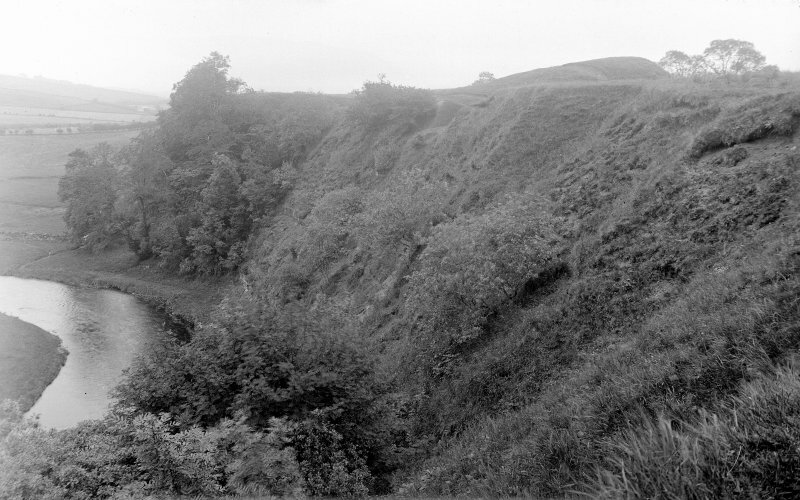 The trapezoidal N section has an occupiable area of approximately 200 square metres, and the oblong and sloping S section is about 160 square metres. 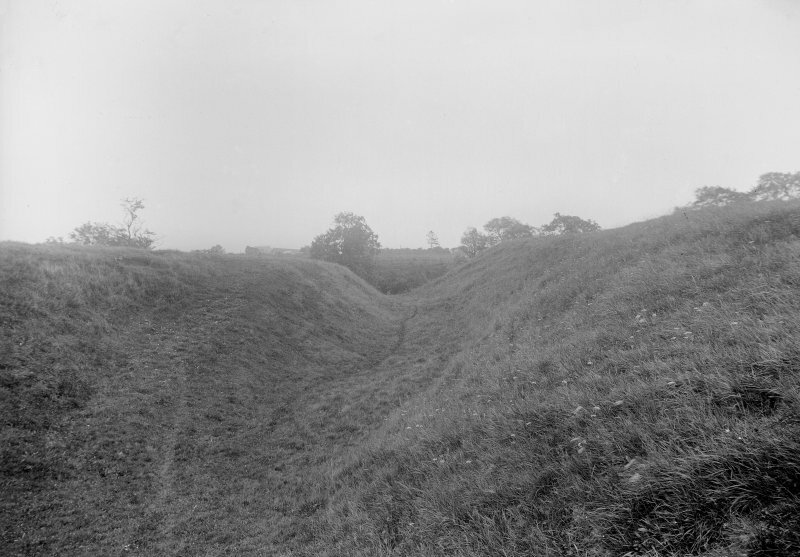 The substantial dividing ditch is up to 13.0m wide and 4.5m deep on the S side. 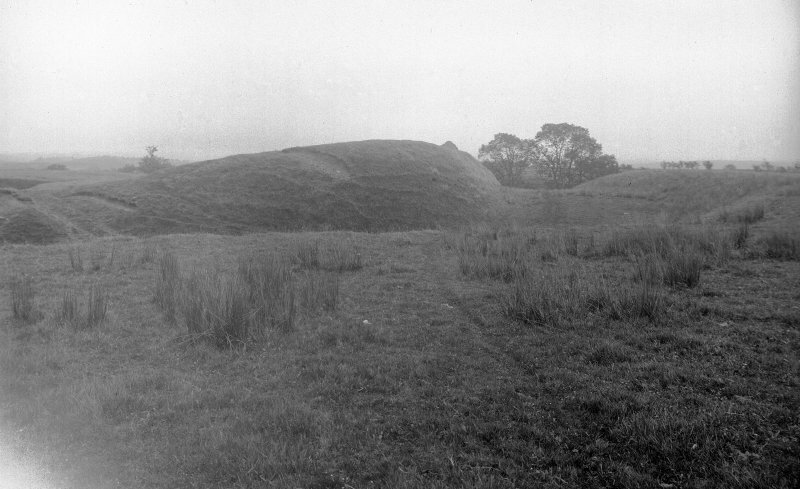 The oval feature and stones were not located, but the site of the well survives as a sub-square depression, 0.5m deep. 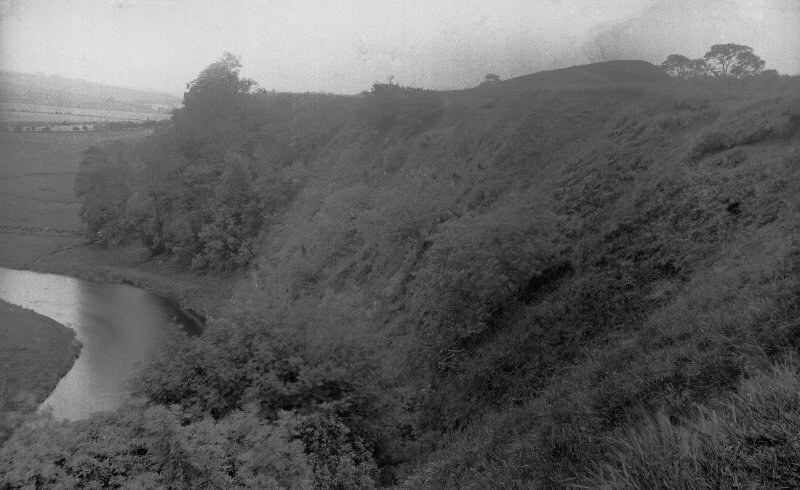 Visited by OS (JRL), 6 August 1979.